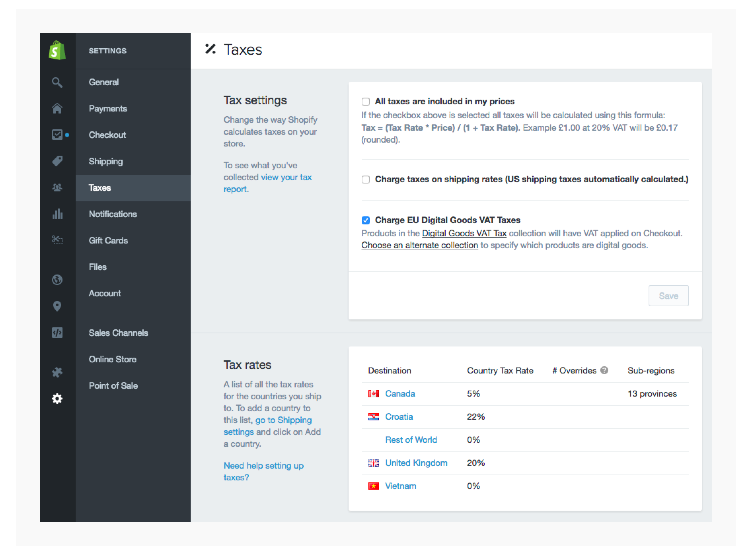 Shopify has built-in sales tax collection functionality that you need to enable and configure on your own. Our app then allows us to download your order history and report on the sales tax you're collecting via Shopify and then we assign the collected taxes to the proper jurisdictions for each state to aid in filing. We tell you how to get stated with Shopify Tax Settings in our Sales Tax Guide for Shopify Sellers.